 Conniff Construction is comprised of a father and son dream team that has been showing home and business owners throughout New Jersey what a true contractor should be. For over 40 years, John has been improving people’s lives not just in the functionality and beauty of their properties, but in the way they can trust someone with absolute surety that their most precious and valuable asset will be taken care of with nothing but the best. Whether you need a new custom home, or are exploring new business opportunities, let the family team of professionals at Conniff Construction ensure your project is completed on time, on budget, with full satisfaction! Please, contact us at 732-350-5005. John has created a superior legacy of pure honesty, integrity, trust and fine craftsmanship and passed it on to the second generation of the family. Sean pretty much grew up in work boots and a tool belt, taking his father’s core values and always trying to build on the foundation from which he came from. Working side by side on projects of all sorts and sizes even during his time in high school, Sean continued to work full time throughout college, gaining even more field knowledge while also attaining a Bachelor’s Degree from Drexel University in Construction Management. Conniff Construction is a NARI certified remodeling contractor, showing dedication to their clientele and to staying on top of the competition. Through continuing education, we can assure our clients that we are providing only the BEST in today’s construction practices and materials. We look forward to making your design, build and remodeling experience part of our family legacy. We look forward to the opportunity to be your full service contractor. Whether you need a brand new home, addition to your current home, or even just a full kitchen/bathroom renovation to bring your outdated home back to life, contact us via our web form or give us a call at 732-350-5005 for a free consultation. Conniff Construction is a home remodeling contractor serving Holmdel, Colts Neck, Marlboro, Manalapan, Toms River, Brick, Jackson, Point Pleasant, Freehold, Millstone, Belmar, Manasquan, Forked River, Manahawkin, Lavallette, and surrounding NJ communities.